Repair Capabilities | L. J. Walch Co., Inc.
Our trained technicians have the ability to perform tests, inspections, repairs, and overhauls that are crucial to your operation. We enhance reliability and service time by implementing state of the art procedures and we back our work with an industry leading 2 year or 2,000 hour warranty. 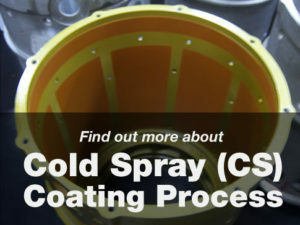 Cold Spray (CS) Coating is an exciting process that can help your company to save money from recovery on parts that are worn, corroded or mis-machined. Our capabilities include electrical accessories used on the following aircrafts: Boeing 717, 727, 737 and 737 NG, 747, 757, 767, 777, Airbus A310, A320, A330 and A340, CRJ, Fokker 50/70/100. Search our capabilities using the CAPABILITY SEARCH feature at the top of this site, or download our capabilities list below.